In the depths of the second half Eunan O’Kane got the ball in midfield and took it out of there: head down, leaning forward, driving at Birmingham City’s goal. He almost took it all the way, ignoring the option of Kemar Roofe, but he couldn’t ignore Samuel Saiz. Who can? And Saiz, who had already scored once, took the pass, and the landscape changed around him, as it does every time he gets the ball. The defenders fizzled away, David Stockdale shrank in nets, the target became enormous. And Saiz tried to score with a rabona. He stamped his foot to the floor and clicked a toe behind his heel, flicking the ball into the top corner of the net, or, tamely into Stockdale’s hands. If it had been the former I would have married Samu Saiz immediately. Everything that had been said about the performance against Burton could have been rolled up and rabona’d into the top corner, following the ball, heralding a new era of unforgettable football. But it was the latter. And with Leeds unsure about a one goal lead, playing toe to toe with a team not playing but fighting for an equaliser, while Liam Cooper was limping and unable to effectively defend a Birmingham break, it was the wrong thing to do. You can’t always choose beauty, Samu; or if you do choose beauty, you have to be sure. When Cooper went off he was replaced by Gaetano Berardi, and now we could talk about being sure about beautiful things. Berardi was roared onto the pitch, not only because he’s a cult hero at Elland Road, but because he was exactly the hero Leeds United needed at that moment in the game. Not someone to score with audacious individual skill, but someone to play out of position, win every ball, then batter it into the stands if that meant Leeds would win. Berardi wasn’t the only player doing that, and Saiz wasn’t failing in his duty: one of the pleasures of Saiz is that he battles and chases for every opportunity to put a touch on the ball. But he’ll touch the ball with any part of his boot just to see what happens, confident that he’ll make something brilliant from the result, and not make the decision that sometimes needs to be made: laces through leather, and an answer to the question. The question being, what do Thomas Christiansen’s Leeds United look like, when they’re being tested by a physical Second Division side, managed by a man who came up in football around the England World Cup win of 1966, rather than a man who came up in football around Romario and Stoichkov, schooled by a guardian of the principles that blew 1960s football into history? The answer is: terrifying, mostly. Leeds have hurtled so high so quickly this season that we daren’t look down: it’s a long, long way down. For the first twenty minutes Leeds let Birmingham make a match out of what had, against Burton Albion, been a game, but Saiz’s goal felt like an end to Birmingham’s chances. Pierre-Michel Lasogga was emphatic, running onto a high, curving pass from O’Kane, heading it above a defender and, when it dropped, volleying it with full stormtank power at goal from an acute angle. In its way it was as audacious as Saiz’s rabona; he had no right to expect to score, but only Stockdale stopped him. He couldn’t stop Saiz; the ball span high, and Saiz dashed towards the goal line, his head to the sky, oblivious to the defenders and goalkeeper crowding around him. I would love to see an in-goal camera view of how he scored, because it looked like he simply let all around him lose their heads while he watched the ball drop onto his foot then stroked it over the line. The lead, though, didn’t stop Birmingham. Firstly, it didn’t improve Leeds. Tiredness may have played a part, although the team did effectively take the last half hour off on Saturday, but the crispness of passing, the matching of intent to action, was all absent. Leeds gave the ball away too damn much. Pontus Jansson was a good barometer here, because he’s incapable of hiding poor play; after misplacing a second simple pass in five minutes, he waved his fists at the sky and yanked his shirt up in frustration, his shirt so Kappa-tight that it stayed up-yanked, exposing the Catapult-GPS bra beneath, a black hoop of shame that he wore for much of the rest of the match. It was as if that black band on the gleaming white shirt was a reminder to him and the players around him that they needed to do better. Doing better didn’t mean not trying to be excellent, and that might be what some of the new players need to learn: like Saiz, trying a rabona when he should have just scored. Only near the end did Leeds adjust their style to what they had, by then, to accept was their level. The game of headers and volleys in Birmingham’s penalty area that nearly produced the first goal of the game was thrilling, but that sort of thing wasn’t working, and needed to be replaced, by work. Work is what Birmingham were putting in. They almost equalised just before half-time, when a relaxed lob over United’s defence caught them and Felix Wiedwald out, and the keeper was beaten to the ball by Maxime Colin. I still don’t know how Luke Ayling stopped the ball from going over the line, and still expect the referee to be awoken in the middle of some night, perhaps many nights from now, by an alert on his wrist from the malfunctioning hawkeye saying that, in fact, he didn’t. After half-time, Birmingham carried out Harry Redknapp’s instructions to the letter, assuming they were to kick the little fellas, and take every free-kick that you win immediately. Birmingham set the tempo, Birmingham set the ferocity, and it was up to Leeds to match them step for step and tackle for tackle. As the result shows, they did. I don’t want to hark back to previous seasons, but the other day I happened across a photograph of Giuseppe Bellusci and Marco Silvestri, side by side, both with their backs to the camera and both running towards Leeds United’s goal, both chasing Kenwyne Jones after their mistake put him between them and an empty net. Not only them, but the team they played in, would have conceded a wimpish hatful against Birmingham. The team we have now kept its sixth consecutive clean sheet. The problem with picking out Silvestri and Bellusci from the past is that it puts the onus on the goalkeeper and centre halves of the present. That’s not the whole story. From Kalvin Phillips crunching his way through midfield to Lasogga putting pressure on Birmingham’s defenders even when a knock meant he was limping towards them like a clipped cowboy, every player contributed to preventing a Birmingham equaliser, and every player looked as proud of the clean sheet as Saiz might have looked had he scored that rabona. The technical term is game management, and Lasogga was a highlight. Conspiring with Saiz in the last few minutes to keep the ball in the corner, he simply took the ball to the corner quadrant and then just stood over it, as two Birmingham defenders took turns and then teamed up to try and get round him, through him, over him, under him, drag him to the ground, whatever they could. They buffeted him and shoved him, and I don’t think they moved him an inch, and it was wonderful. Wonderful, too, was Stuart Dallas scoring the second goal. One-nil would have been enough; the same performance, the same result. But the game gained so much from this finishing touch. 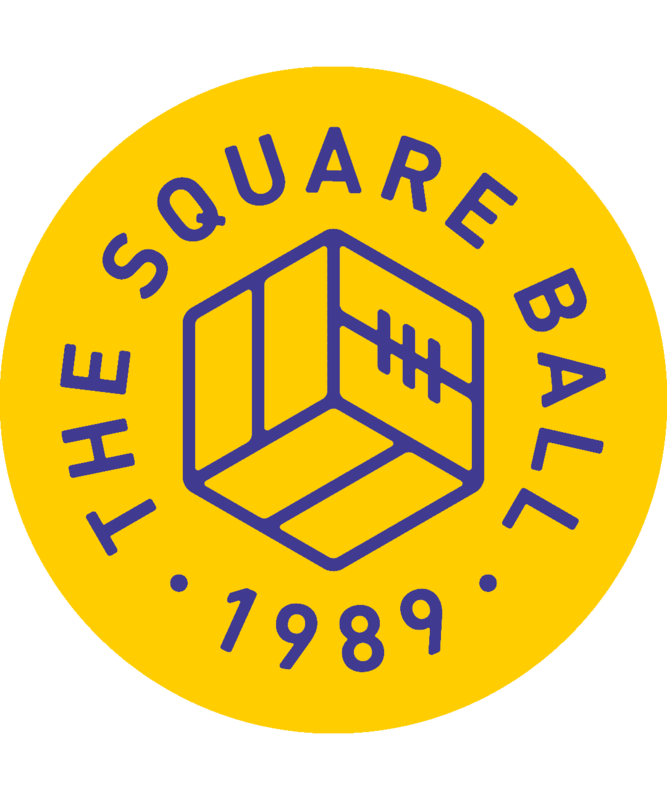 It began with Birmingham’s corner, but soon Saiz was flicking wisely, and Lasogga played the ball wide from the centre circle to Dallas while being fouled late. Dallas received the pass near the corner flag, where he might have run the clock down, but there was no meaningful tackle coming from the full-back Colin, and a lot of space. Why not run into that space and score a goal? A jinking dribble, and a low sidefoot inside the post? 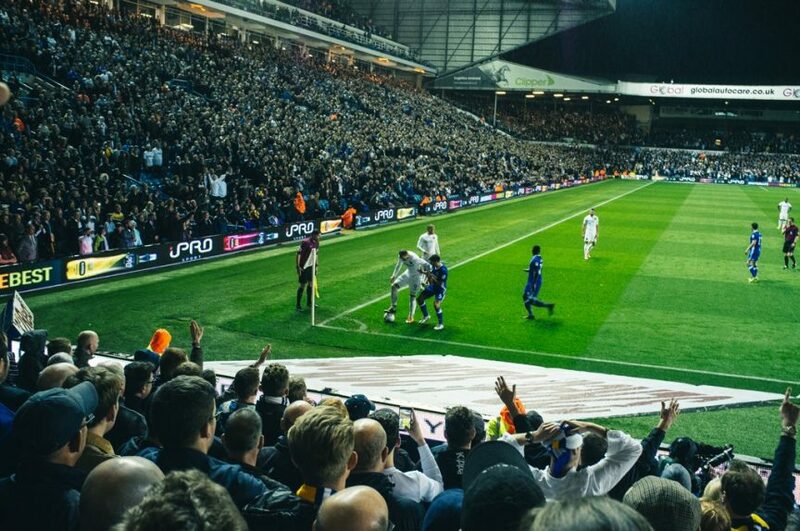 And then, why not slide across the pitch to the Kop, where Kemar Roofe has booted the ball for joy, while the team surges around you enjoying one of those rare moments in football: the chance to celebrate a goal that you know, without any doubt, has won the game? And why not celebrate it with the extra verve generated from knowing how hard you had to work not just to get this goal, but to get this result? I haven’t had any doubts so far about this team’s capacity for work. I’ve looked at Saiz and Alioski a little differently to the Port Vale, Sunderland and Nottingham Forest fans who see them as fragile divers. I see them as winners of free-kicks, who go down when they’re kicked, but stay on their feet and fight if there’s still something to be done with the ball. If you study the old, so-called cynical Leeds United of Billy Bremner, you’ll see an early template for their wiles. But what we hadn’t seen yet was this team’s collective capacity for tenacity, for rolling against the odds. The thrillest skills so far have come against Port Vale, Newport and Burton, while Preston and Fulham were tests that were only just passed. Sunderland and Nottingham Forest weren’t easily dismissed, but neither found answers for the questions Leeds United’s attacking play was asking.